Spring has Sprung, and Ocean City MD is filled with things to do as the weather continues to get warmer. From busy events in town such as Springfest to a simple walk on the beach, there's plenty to do in town! It’s also that time of year again in Ocean City to venture out to your favorite restaurants and bistros for fixed menu prices and unique eats! 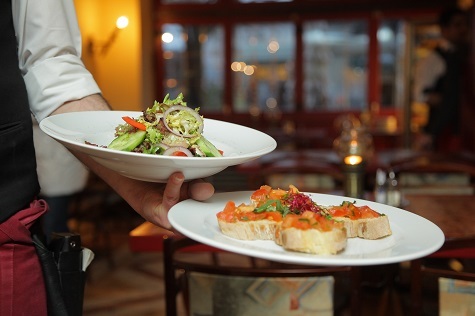 Ocean City’s 2019 Spring Restaurant Week begins Sunday, April 28 and officially runs through Saturday, May 11. Various participating locations will offer $10, $20, $30, or $40 fixed price menus, ranging from fine dining to the simplest of meals. BJ’s located on 75th St. will offer a Prix Fixe $21.00 Lunch (served 11am-5pm), as well as a Prix Fixe $30.00 Dinner (served 5pm-until close). Enjoy plates like beer battered rockfish tenders and shrimp teriyaki! Bourbon Street on the Beach located on 116th uptown will be offering a $30 menu for this Spring Restaurant Week! The menu will be offered throughout the entire two weeks and is a 3-course selection made up of a starter, soup or salad, and entree. Choose from char-grilled oysters to crab stuffed mushrooms and lobster ravioli with crab alfredo and many more mouthwatering dishes! Captain's Table will offer a $35 Prix Fixe menu consisting of 3-courses. Choose an appetizer of either tempura fried avocado or pork pot stickers. Enjoy chicken rockefeller, smoked bacon wrapped meatloaf, or shrimp and grits as your entree! Seal the deal with mint chocolate chip and pound cake fried ice cream or n=New York style cheesecake with berries! Head to Crab Alley throughout this Spring's Restaurant Week for $20 and $25 fixed price menus! Head to Happy Jack on 25th St. in town for deals during Restaurant Week. Head over to the Clarion Resort Fontainebleau Hotel during the week for deals and specials. Enjoy breakfast or brunch at Layton's during Restaurant Week with their $10 Prix Fixe menu. The menu covers the basics, but also includes tasty, unique breakfast options like the seafood scramble! Enjoy casual dining in a whole new way at Longboard Cafe during the Ocean City Restaurant Week this Spring! Prix Fixe menus are not available on Fridays or Saturdays. Head to the indoor lounge or upstairs bar at Mad Fish Bar & Grill off Harbor Road for great Restaurant Week specials. Grab a 3-course meal for $33 on 33rd St. at Marlin Moon this Spring Restaurant Week! Indulge in soups, salads, entrees, and desserts Sundays-Thursdays of Restaurant Week, including dishes like Chicken Rockefeller and Pan Fried Mahi. Make your way to the Ocean City Fishing Center for Restaurant Week specials at Micky Fins. Sello's will be serving special courses Sunday through Thursday of Restaurant Week! The Shark will provide a new, unique 3-course menu for $30 each day during Restaurant Week. Sticking to their tradition of writing their menu daily, they will surprise you each night with something different! Fridays and Saturdays are excluded from the promotion. Enjoy various shrimp combos for $10, $20, $25, $30, and $40. The Shrimp Boat will have $5 Shore Craft beer drafts or cans of Big Oyster Hammer Head throughout Restaurant Week. The Victorian Room in the Dunes Manor Hotel on 28th St. will have a 3-course menu for $35 during Restaurant Week. Choose from plates like Bloody Mary Shrimp Ceviche or Seared Scallops, and enjoy delicious pie, cheesecake, or torte for dessert! Check out the full menus offered at each location throughout Ocean City for the Spring 2019 Restaurant Week, and keep up with the countdown as we get closer and closer to these great, delicious deals!